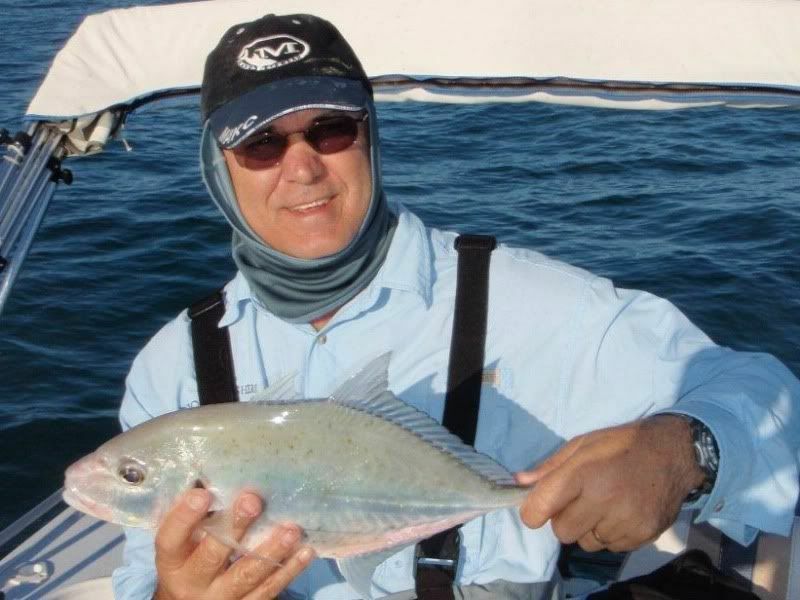 Ward and Richard manage to get out today on that beautiful ocean tossing around a few Saltwater flies. This is what Ward had to say. Richard and I decide to head out on Saturday to our spot of the back of Rattlesnake. It was perhaps not as smooth as Sundays prediction, but the best day for us. We arrived at our spot to find no one else there, a great start! We starting drifting and searching and found very little. We thought there was a pretty good chance of dropping the pick and finding a suitable spot. So we looked around using the sounding and found a good piece of bottom. 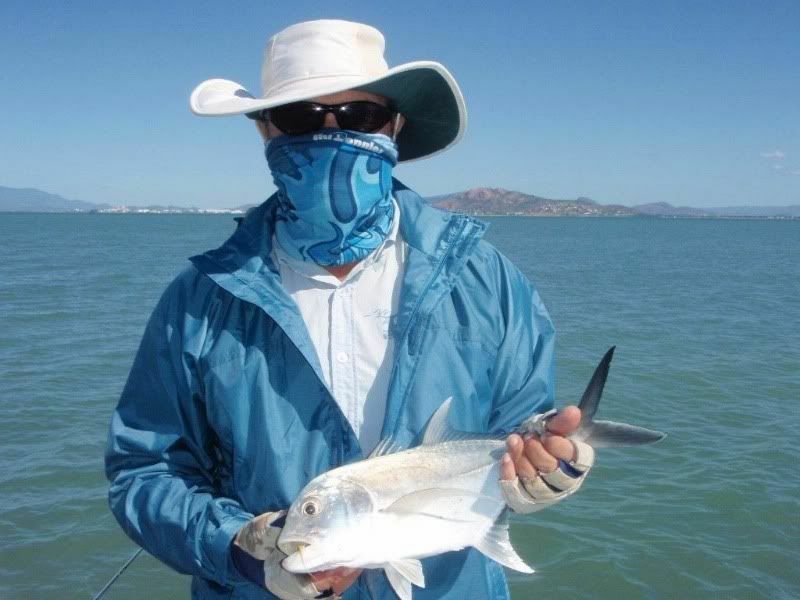 As soon as we dropped the pick we started landed trevally on each cast! 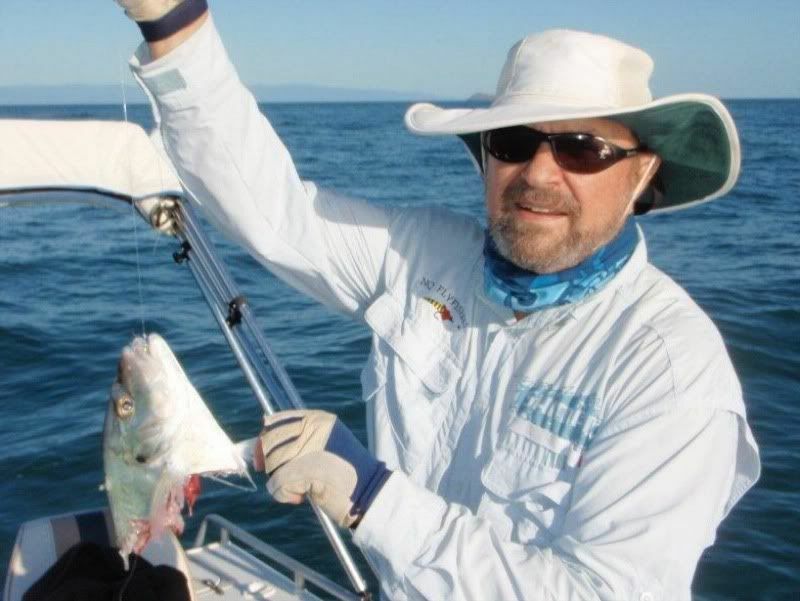 After a while we were interested in catching something else, so Richard decided to hook up to a couple of monster fish that blew him away on the bottom! Not quite what we had in mind, but still different! Then Richard decided to play with some sharks.....and his fish lost! 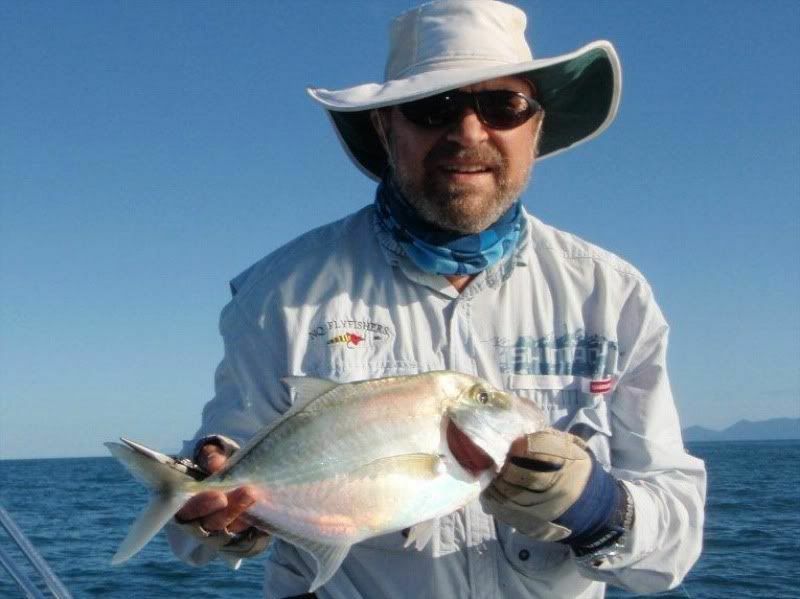 For the next couple of hours we hooked up to well over 20 trevally. Finally we called it quits and headed back to the back of Maggie to chase something different. As we travelled, Richard spotted a school of fish breaking the surface. 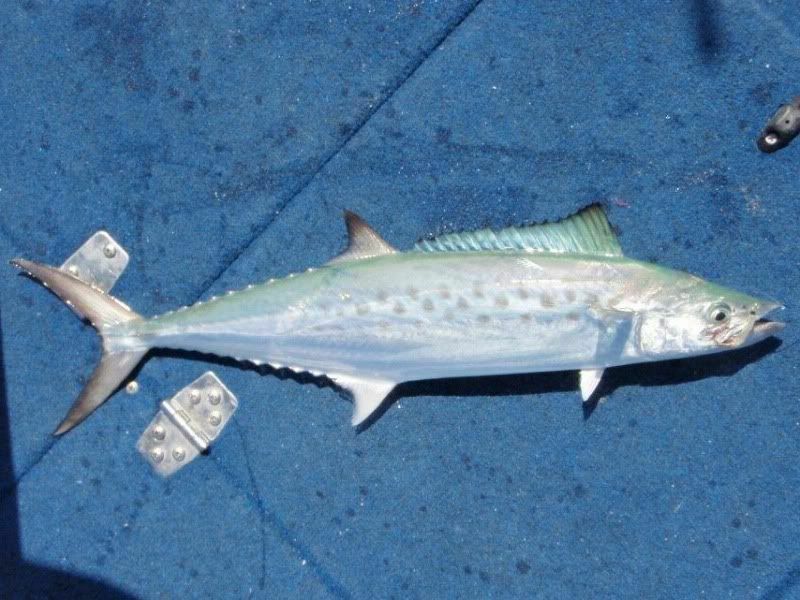 We put the boat in place quickly changed the flies and managed to hook up a couple of spotted mackerel. Nice change, then we finished the day with a drift over some flats. Richard landed a nice GT to finish the day.